Full Description: A veggie lover's dream! 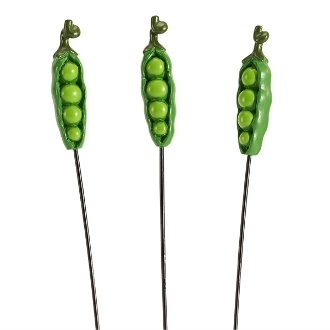 Create a mini vegetable garden with these adorable pea pod picks! Made of resin and metal. Features all-weather paint.